The Nordic or Scandinavian look is still incredibly popular and becoming more and more mainstream as the seasons move on. Of course, with Winter around the corner, this look is gaining momentum again, and so I thought I’d give you some of my top tips for recreating this in your own home. I’ve also got a cute little giveaway at the bottom of the post, so scroll down if you’re eager to find that. 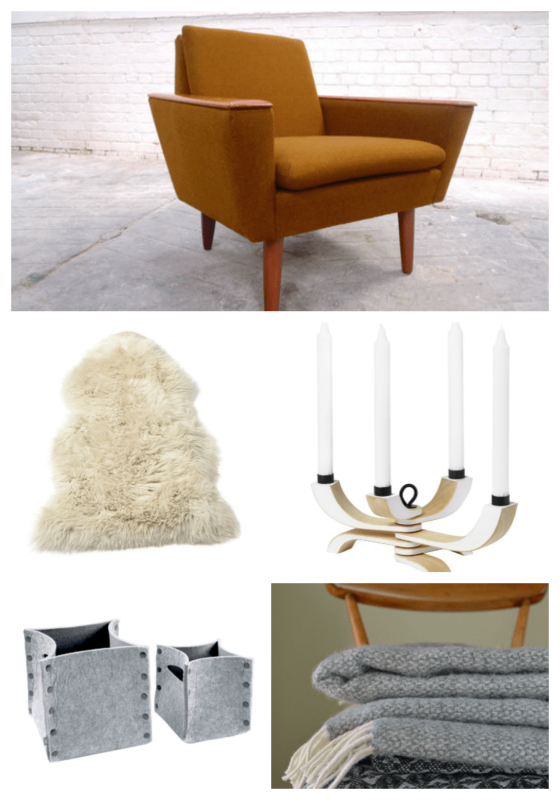 The images that I’m showing you here provide plenty of inspiration for putting together a modern Scandi or Nordic look. Don’t they remind you of cosy, Winter evenings in front of the fire? 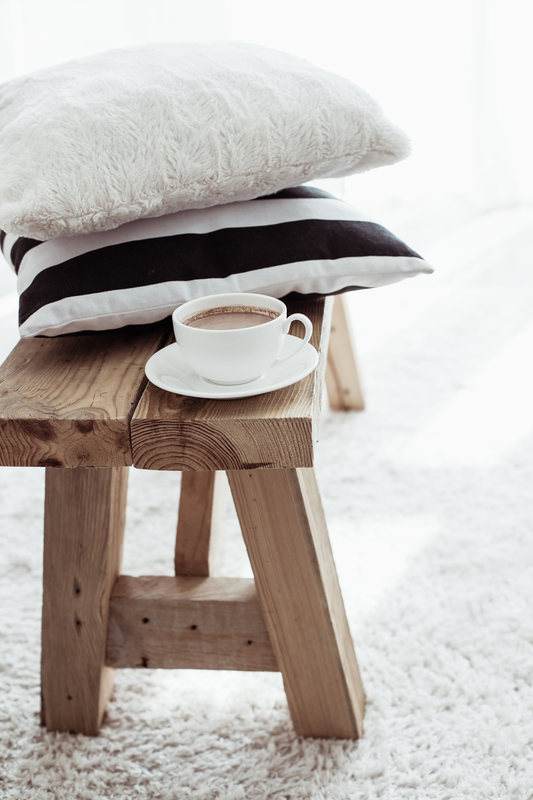 Of snuggling under a warm throw, with a mug of hot chocolate? I know they’re quite ‘white’ and that doesn’t always work in a family home, but you can tweak it so it’s more practical and suits your family. So, starting with your Nordic scheme and want to recreate this look, then you must add lots of texture. Texture through fabric and through materials. 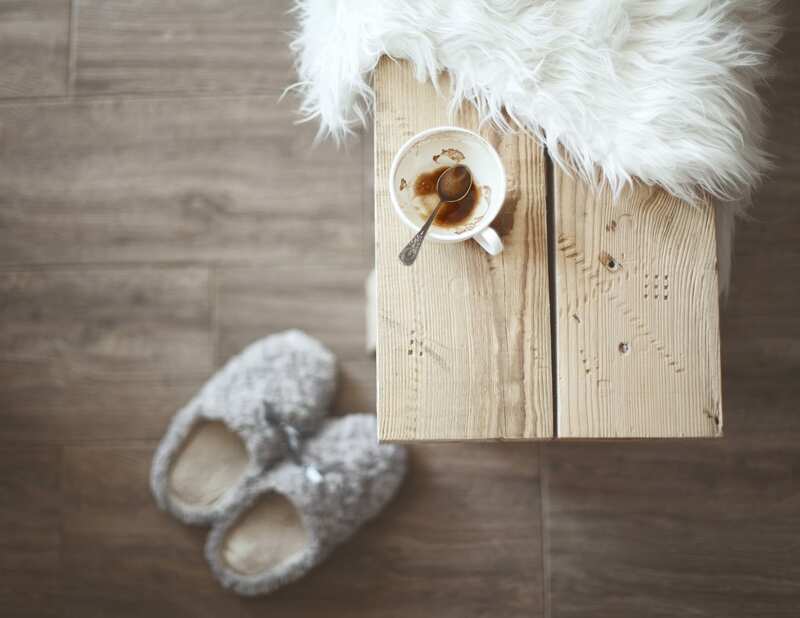 So think of lots of woolly, warm cushions, soft luxurious throws, sheepskin rugs and rustic wood. Generally colours need to be muted. You don’t have to stick with whites or neutrals, but a combination of these often help create that snowy, wintery feel symoblic with Scandinavia. Think of how to incorporate greys, olive greens, off whites and creams together to create this look, and don’t forget to layer them together to really give it depth. Using colour and texture together in this way will prevent the look from feeling too cold or flat. Remember Winter is on its way, and the nights are drawing in. And of course, Scandinavia is typically dark and Wintery, so you must consider how to light the room. Simple, minimal and elegant lighting works well with rustic lamps and candles. Add lots of tealights to add a twingling glow to the room at night. 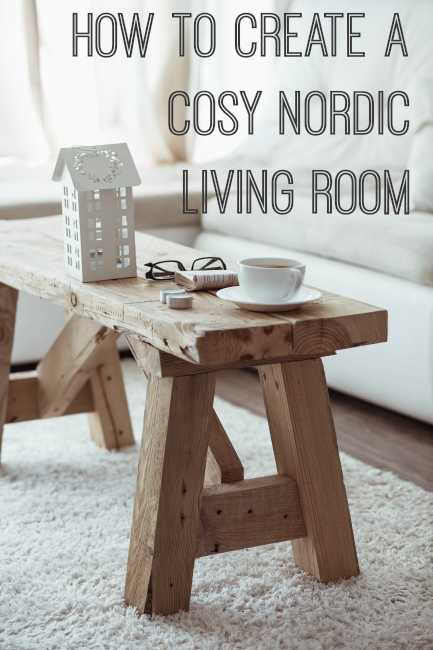 Now I thought it might be quite useful to discover how to shop this look, so I’ve put together my own Nordic Cosy Living Room eBay Collection showcasing lots of different Nordic style products that you can purchase yourselves. It really is very easy to buy products to create this look in your own home, and so simple to grab just a few items that will update your look. Here’s just a little sample of the items I’ve put into the Collection, but you can see the full range by clicking here. When you’re there, don’t forget to hit the ‘Follow‘ button as I’ll be updating the collection over the next few weeks. If you’d like a lovely little eBay voucher to spend on yourself or some fabulous Nordic home accessories then just follow the instructions in the Rafflecopter widget below. I would spend my eBay prize on a treat for my hubby as he has been working so hard recently. I would love to say something nice for our home to make it look cosy, but as soon as my man and our son get wind of a £20 credit I am sure they will have other ideas! I’d be looking for something warm & cosy: slippers!! A new bed for our puppy as she has chewed her present one lol! I would get a pair of your lovely Linea Chunky Knit Cushions, so nice! I would like to say something for the home but in reality it will probably be a new ink cartridge! I’d get a PSN card. I’d spend it on craft items, probably stamps. I would put it towards a good blender. Probably a new phone charger or case for my kindle! Some new socks-possibly those ones with toes in. Some gloves and a scarf! I would put it towards a sheepskin rug. I would buy a lovely throw for our sofa. Daughter wants an Elsa doll so i would put it towards that. Gisela Graham Christmas decorations!! Have been eyeing the all up recently, so pretty! I’d treat my niece to some frozen items! Some nice new perfume – I drop hints to everyone at Christmas but no-one ever buys me any! i’d spend it on home improvements for xmas! Some fabric to make some cushions to liven up my dull living room. I would buy some dvds! I would spend mine on some craft bits and pieces as I have lots of cards to make in the New Year. I would buy a new dog coat ! Trivial Pursuit, it’ll keep the family busy after the excitement of Christmas and New Year! I plan to decorate my spare bedroom so I’d buy some bedroom accessories. I’d go for Sherlock dvds. I would buy one of your lovely items. I quite like your winter metallic collection. Some new clothes for work! i would love a little side table for the front room. My wife is looking for some leather boots so I would give it to her to put towards them. I’d spend it on books.. I would buy a game for my daughter. I’d most probably spend it on clothes for my little girl! Something owl related I’m sure!! I’d get a video game. I’m not in the market for a full redesign but I do like some of the nordic things you’ve posted. Might spend it on some storage for the massive heap of magazines that’s piled at the end of the sofa! Toy storage for my son. Towels or bedding – time to replace and spring clean the house! I’d spend it on tools! It is interesting style. Maybe It can be accepted in my house. Pingback: How to know if the interior is in Scandinavian style? - Bring on design! I LOVE nordic style. It’s my latest craze. I plan to deck my home out in similar fashion.